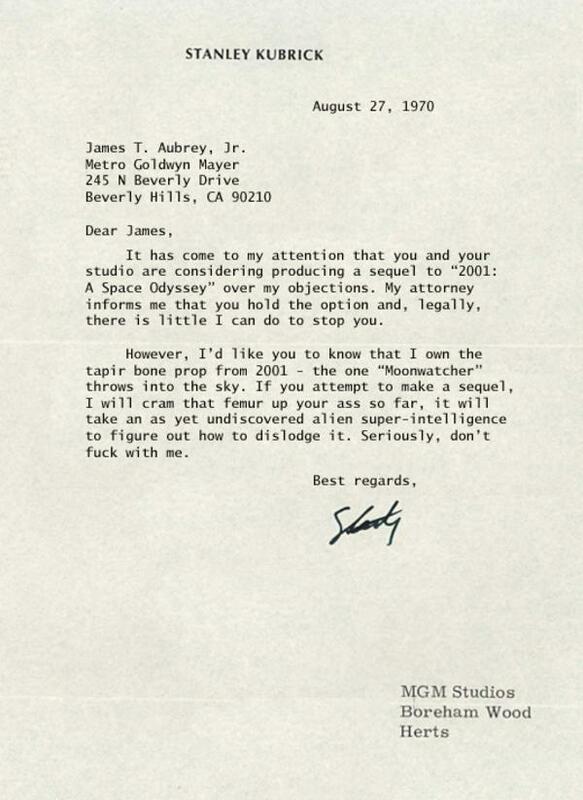 YOU’LL have seen the sweary letter signed ‘Stanley Kubrick’ written to the head of AGM about the sequel to 2001: A Space Odyssey. In 1984, there was a sequel. Both Kubrick and Aubrey were still alive in 1984. The femur never was an exhibit in a courtcase or hospital ward.